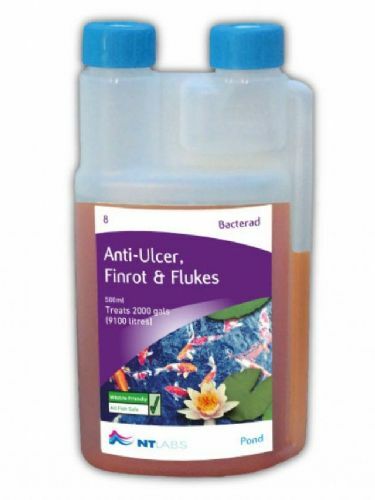 NT Labs Bacterad Anti-Ulcer, Finrot and Flukes is a single dose treatment for ponds. 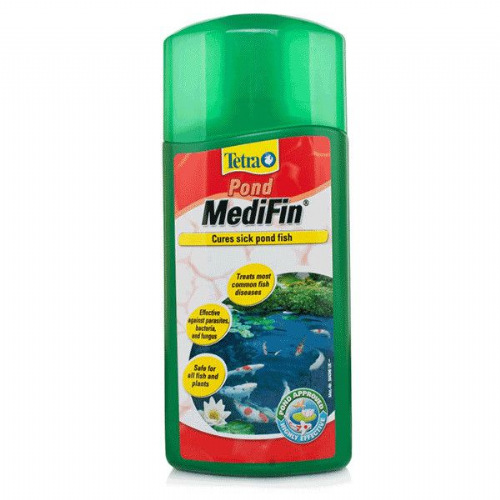 Effective against bacteria and flukes (trematodes). Use when fish show red wounds, ulcers, missing scales, clamped fins, blotches, fin-rot.